Come on board our Dubrovnik fishing boat and let's start our boat trip in Dubrovnik together! You haven’t experienced the true essence of Dubrovnik area until you have been out on the sea with a boat fishing, swimming,snorkeling and exploring the islands. 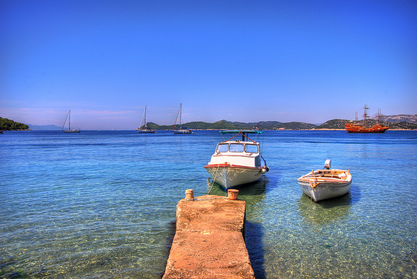 Dubrovnik boat charter is designed to provide you with exactly that. The perspective is entirely unique and that is the reason why captain Srđan, after all his years of fishing on Dubrovnik waters, is still excited every time he has the opportunity to take guests out for a boat trip. 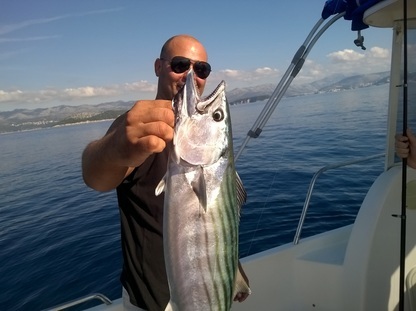 Our boat fishing trips are especially designed for Dubrovnik's guests to relax and try something new. The goal with our boat charter trips in Dubrovnik is for our guests to experience Dubrovnik area in way locals do, and off the well-beaten tourist path. We look forward to welcome you to beautiful area surrounding Dubrovnik, a place with many charming islands, secluded beaches and crystal clear waters rich with life. We are most fortunate to live here and are delighted to share it with others. For captain Srđan from Dubrovnik boat fishing charter, each boat trip is an opportunity to meet and enjoy the company of new friends.